How do I choose a suitable camera for my needs? a What do you intend to monitor? b Where do you want to put the camera? c What is your budget? Based on your answer from above, our experienced personnel will assist to provide the most suitable surveillance solutions to fit your security needs. Expandable (Can add additional cameras and/or storage). Easy to maintain. If a component fails, an end user can replace it. Can integrate with POS/cash registers. Can work with IP cameras, as well as Analog cameras. Ability to have more than one user accounts. Easier to interact by using the on-screen menus and a mouse, giving it more features and options. However, when running a PC-based system you are vulnerable to hackers, crashes, viruses, attempts and system freezes. All embedded DVRs have some type of TV Output, whereas not all PC-Based DVRs do. Takes up less physical space. Can be hidden and remotely accessed with a remote (remote requires IR repeater). Extremely stable and reliable since they contain fewer parts. The software is often written in basic machine code or Linux code which tends to be more stable than Windows software. With an embedded CCTV system you gain the stability (an average of 100 times more stable). Lower hardware and software cost. Operations and settings return to previous conditions after power loss resumes. A PC-based digital video recorder (DVR) is basically a personal computer that has been modified with hardware and software to work as a DVR. An embedded digital video recorder is a machine that has been manufactured specifically to work as a DVR. In embedded DVRs there is typically one circuit board with software burned into the chip. What is an IR camera? IR stands for Infrared. Infrared camera is a device that forms an image using infrared radiation, similar to a common camera that forms an image using visible light. Instead of the 450–750 nanometre range of the visible light camera, infrared cameras operate in wavelengths as long as 14,000 nm (14 µm). It can be used either in daylight or in TOTAL darkness. What should I look for in a CCTV that is meant for night time application? You should look for CCTV which is equipped with infrared LED, namely the IR Camera. IR camera enables the users to capture images even in a total darkness. Infrared Cameras are most suitable for low light areas or total darkness areas. Infrared LEDs surround the lens and shine infrared light, illuminating the scene. During the day it is able to present colour images, while during the night, images would be black and white. How many days/weeks of recording can I store? The recording will have to depend on how many bytes your storage has. For 1 terabyte (TB), it should store at least 1 month’s worth of recording or more. What is the recommend camera for outdoors? We recommend the IR CCD camera which is weatherproof, waterproof and vandal proof. It comes with built-in wiring which is impossible to be compromised. The model that we would suggest is GTC-527, GTC-528 and GTC-502, which is equipped with the IP 66 rating. Can I upgrade my current camera without changing the entire system? Yes, you can. Our products are versatile and user-friendly. The upgrading of your hardware will not interfere with the functioning of your existing system. How long is GTC’s camera warranty? GTC offers 1 year warranty to all cameras. We also provide repair services if any problems occur as we manufacture our own products. Is the installation process troublesome (i.e. does it require breaking of walls)? GTC offers a range of plug-and-play products that is easy to install and use. Our mobile IP Camera ensures protection without altering the aesthetic appearance of your house. What criteria do I need to take into consideration when allocating a budget for a surveillance system? Our professionals will give you a free consultation on which surveillance systems will best fit your security needs as well as your budget. In case of break-ins, how can I back-up or save all recordings from the surveillance system? GTC’s surveillance systems, enables you to back-up all data recordings by transferring it from data storage (PC or DVR) to thumb drive, hard disk, or CD. Are there any external back-up devices besides my own surveillance system? You can back-up your recordings by transferring all data weekly or daily by using external hard disks and keep it safe. Does GTC have any spy camera models? Yes, GTC offers a wide range of CCTV products including hidden cameras such as PIR camera, fire sprinkler camera, smoke detector camera, small ATM camirror, halogen light detector camera, LED white light detector and IR LED light detector. Can the surveillance system be synced with my mobile devices so that I can control it remotely? Yes. GTC offers a wide range of products including IP Cameras which can be synced with any mobile devices such as, smart phones like iPhones, Android phones as well as iPads and etc. Does the surveillance system consume a large amount of energy? No. GTC surveillance systems does not require large amounts of electric usage; instead, it is very energy saving. Does GTC offer onsite recce or free consultation? Yes, GTC offers free consultation following a field evaluation at your site. Our CCTV Clinic Specialist will provide you a 360 degree perspective in GTC products, security solutions, diagnosis of your existing CCTV systems and maintenance. 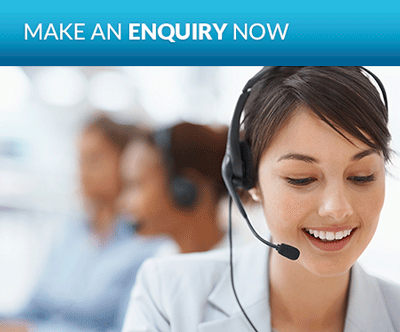 You can call us at 1300-80-3333 / 03-61586666 for more details.